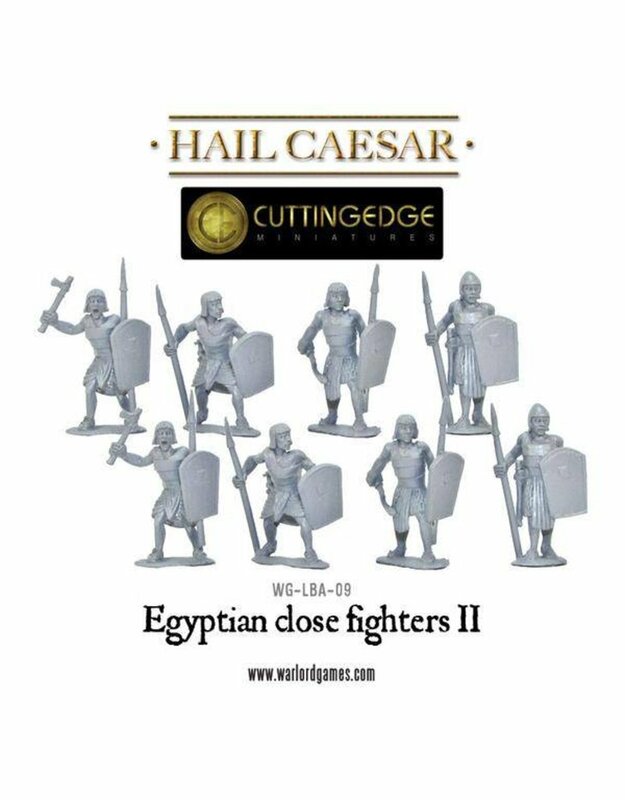 These Close Fighters are those of the latter part of the 18th Dynasty and early 19th Dynasty when light armour began to appear for the regular infantry. Close Fighters dressed as these would have fought in armies of Tutankhamun and Seti I. Hand weapons were a mixture of the older axes and the newly appearing solid bronze sickle sword.